Motivation: even the Danes realize when the welfare state has gone too far. … Carina was not the only welfare recipient to fuel the sense that Denmark’s system has somehow gotten out of kilter. Robert Nielsen, 45, made headlines last September when he was interviewed on television, admitting that he had basically been on welfare since 2001. Does it really make sense to serve the poor by giving them social benefits that are taken away once they get a job? The policy name for this is “means testing” and it is one of the worst aspects of the war on poverty. Indeed, it’s fair to say that after half a century of the LBJ inspired war on poverty in the U.S., poverty is winning. Curtailing benefits as recipients get jobs is a big reason why. It punishes work, and effectively makes low-income workers face the highest marginal tax rates. High marginal tax rates approaching or exceeding 100%! Where is the Republican outrage? The Democratic shame? “So should we extend all currently means-tested programs to the entire population?” Listeners often admit that it’s a persuasive challenge. 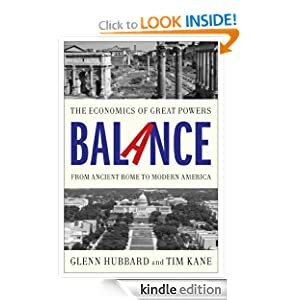 At our last lunch, however, Tim Kane, one of my favorite libertarian economists, bit the bullet. In his view, any program that we make available to the poor should be available to everyone. If I understand Tim correctly, his main argument is that means-testing is a high implicit tax rate, with all the standard effects. As a behavioral economist, I suspect this a serious overstatement. Framing and transparency matter. Even if Tim is right, though, we face a choice of evils. With means-testing, we’ll have a high implicit marginal tax rate on everyone who might plausibly collect benefits. Without means-testing, however, we’ll have a high implicit marginal tax rate on everyone. Why the difference? Because means-testing saves a ton of money, allowing lower average tax rates. Or so it seems to me. My challenge for Tim and anyone who agrees with him: Offer a plausible estimate for the total cost of expanding all means-tested programs to the entire population – year in, year out. Start with Medicaid, then add unemployment insurance, TANF, and everything else. Even ignoring disincentive effects, can you really come up with a figure under 10% of GDP? I think Bryan is right that making a universal welfare grant — perhaps a baseline amount of a few hundred dollars per month per person (regardless of marital status, gender, family structure, etc.) — will be expensive. For each $100/month, the annual national outlay would equal roughly $100 x 12 months x 300 million people = $360 billion. That’s $3 per day, right, which is what economists say was the typical daily income for most of human history. Americans would probably want to do better than that, so let’s say triple, which is $1 trillion per year. Yes, in a $15 T economy, the cost of a guaranteed income would be hefty. But what would it replace? I don’t know, but it would be interesting to consider ending TANF, job training, UI, disability. And then, dynamically, what would the boost be to labor force participation, private income generation, and overall GDP? I’d bet it would be a one-time $1T GDP level adjustment upwards. But I would support the program even if there were neutral GDP level effects, out of dedication to simple human dignity. A safety net, yes, a poverty trap, no.